Shimla: The state government is laying special stress on skill upgradation of the youth of the State in order to provide trained and skilled workforce for ensuring that they become job providers instead of job seekers. This was stated by the Chief Minister Jai Ram Thakur after laying foundation stone of National Skill Training Institute for Women (NSTI) here today. The Institute has been sanctioned by the Union Ministry of Skill Development and Entrepreneurship, Directorate General of India and is presently functioning in a building adjacent to DIET campus Shamalaghat, in Shimla district. 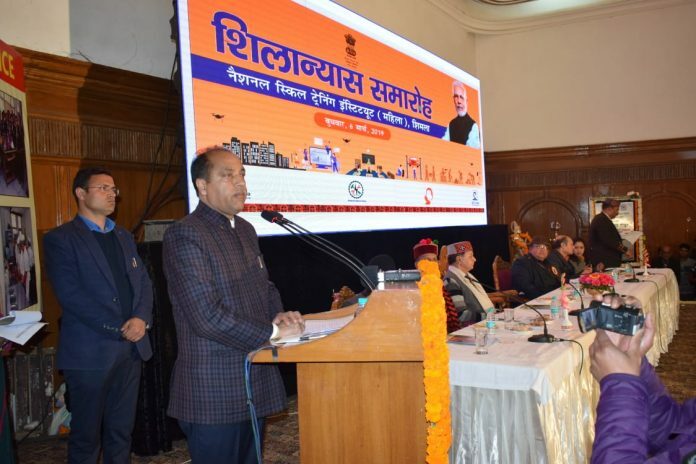 Jai Ram Thakur said that Prime Minister Narendra Modi has laid special stress on skill upgradation of the youth of the country as the nation in the years to come was poised to emerge as a biggest skilled workforce creator for the world. He said that this institute would not only help in skill enhancement of the girls but also go a long way in women empowerment. He said that the state government has provided around seven acres of land free of cost for construction of permanent campus of NSTI for women at Jhundla, near Shimla. A state of art campus would be coming at this piece of land at a cost of Rs. 27.95 crore. This building would be completed within a year. He also assured all possible help from the state government for early completion of the campus. 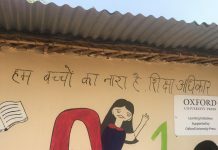 Jai Ram Thakur said that this campus would house institutional block, residential block equipped with modern hostel facilities for girls, a guest house having provision for further expansion. He said that the building would be eco- friendly having solar panelling and rain water harvesting structures. He said that this would ensure establishing better industry-institute linkages and organize demand driven short term courses. The Institute is offering courses in five trades viz fashion designing and technology, cosmetology, desk top publishing operator, architectural assistantship and draftsman civil, with twenty seats each. Irrigation and Public Health Minister Mahender Singh Thakur, MP Ram Swaroop Sharma, Mayor Kusum Sadrate, Deputy Director General Skill Development and Entrepreneurship, Directorate General of India S.D. Lehri, Additional Chief Secretary Dr. Shrikant Baldi, Vice Chairman HIMFED Ganesh Dutt, Managing Director HP Kaushal Vikas Nigam Rohan Chand Thakur and Deputy Commissioner Shimla Amit Kashyap were present on the occasion among others.